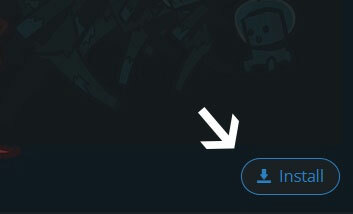 Type in the modpack name (Tekkit Legends) or paste the following url into the search box. Finally, click Install at the bottom right of the launcher after you select Tekkit Legends from the list on the left. The launcher will handle everything else! I would like to keep playing with the same save thorought more than one day. I can create a new world, play on it without any issues, but when I come back tomorrow the world won't load in. When I try I get kicked back to the launcher window. Any ideas? So in Tekkit Legends every time I look at any type of block or item in game it shows its details. Like a tooltip or something. it shows its name if it's harvestable, and the most efficient item to harvest it with. 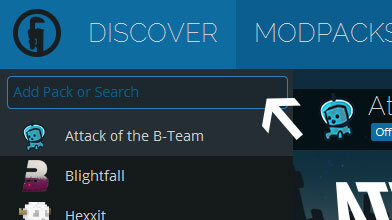 It is not, however, the setting inside of the highlight tooltips in the world setting. This setting adds an additional, less annoying, item description behind this other description. How do I get rid of this item information? HOW DO I GET TL ON MY SCREEN!!! I can't join my friend's server my game just crashes when i try. i was wondering if it was the game or what because my pc is new so it shouldn't be that. Yo, CanVox, I was wondering if there is a possibility of you adding Mekanism or MineFactory Reloaded to the modpack. I really like these mods, and both of them go well with Big Reactors and IC2, and they add the possibility of more automation, especially Mekanism. Although I doubt you would change something on a 3 year old modpack, but still worth a try to ask. I doubt more support for this mod pack will be coming, unless the site is glitched and not showing the proper time line this pack was last updated three years ago. i can't install this mod pack from the launcher. please fix or tell me what i am doing wrong. Hey CanVox, there's a crash that could probably be easily fixed. Sometimes, when you open a power converters block in multiplayer (havent tested in singleplayer) you crash. It doesn't crash the server, so it seems more clientside with IC2 blocks. If you would like crash reports I can give you it. Is there a replacement mod for applied energistics? Does anyone know what mods are incompatible with Smart Moving? Installing Smart Moving and any amount of it's prerequisites causes the game to crash out and never even launch, literally closing the launcher and then just opening it again. Have you looked into the crash report already? is there a version of this for 1.12? As much as I love this pack, I feel there are some things I remember about Tekkit Classic missing, for example the ability to make forcefields, and wireless redstone. Just return the almighty forcefields and redpower. You could add it yourself it that would satisfy your needs, I guess? Add AE2 if you do it this will be the perfect MODPACK IN THE WORLD !